The Fifth Trimester is your new best friend: a brilliant, tells-it-like-it-is guide that helps moms cope with the demands of the real world after the baby arrives! The first three trimesters (and the fourth – those blurry newborn days) are for the baby, but the Fifth Trimester is when the working mom is born. No matter what the job or how you define work, you’re going to have a lot of questions. When will I go back? How should I manage that initial “I want to quit” attack? Flex-time or full-time? How can I achieve 50/50 at home with my partner? What’s the best option for childcare? Is it possible to look like I slept for eight hours instead of three? And…why is there never a convenient space to pump? 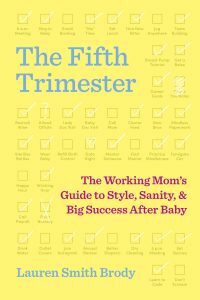 Whether you’re in the final stages of pregnancy or hitting the panic button on your last day of leave, The Fifth Trimester is your one-stop shop for the honest, funny, and comforting tips, to-do lists, and take-charge strategies you’ll need to embrace your new identity as a working parent and set yourself up for success. 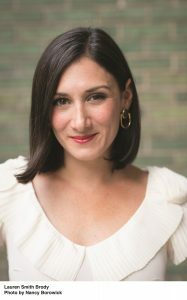 Based on interviews with 700+ candidly speaking moms in wildly varied fields and incredible expert advice, The Fifth Trimester tackles every personal and professional detail with the wit, warmth, and inspiration you need to win when you head back to work.